Description: Free gift PowerPoint template design that you can download to prepare your PowerPoint presentations. 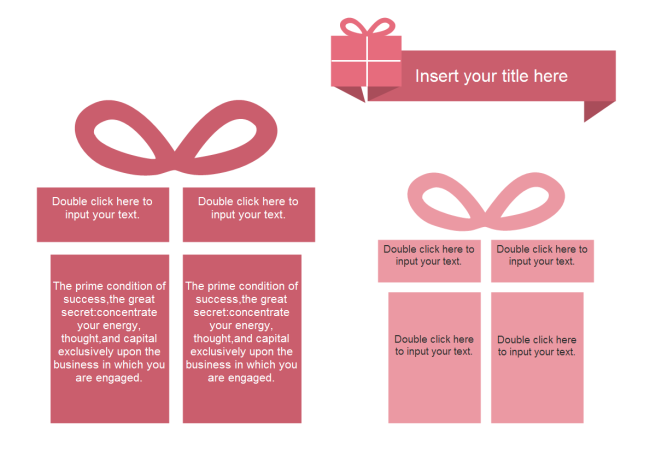 This slide contains too gift boxes with pink color, each box diving into four parts for editing texts. The design makes a soothing impression on the eyes.